$500 Checked Twice Holiday Giveaway!! CheckedTwice is a free online gift registry for families and friends to create and collaborate on holiday and special occasion wishlists – making gift-giving simple, organized, and fun. CheckedTwice makes it easy to add gift ideas from anywhere, create and manage lists for younger children, share gift giving across family, friends, and other groups, and more. And no spoilers here – CheckedTwice won’t reveal what’s been purchased from your registry, so the joy and surprise of gift-giving stays intact! When less time is spent shopping and the gifts are guaranteed to please, there’s more time to celebrate the season with friends and family. Happy Gifting! 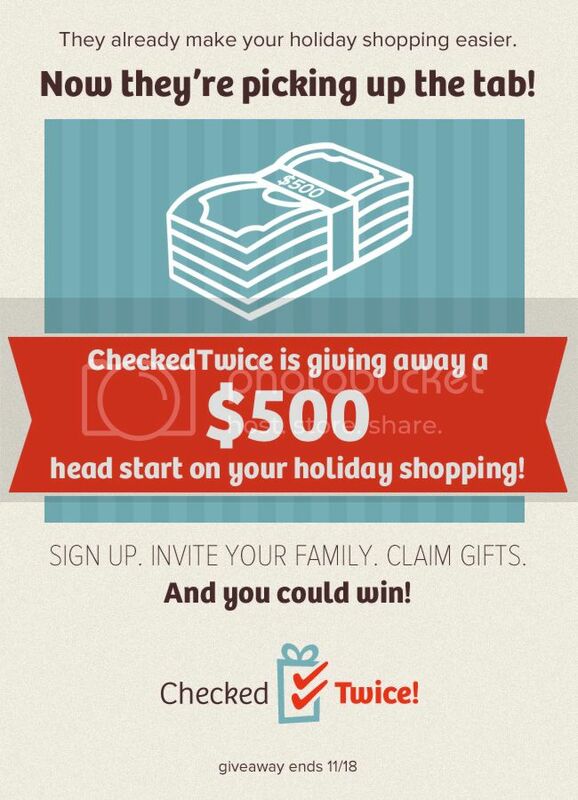 CheckedTwice is giving away $500 to help you get started on your holiday shopping! Giveaway ends November 18th at 8 pm ET, open to residents of US and Canada, ages 18+. Use the Rafflecopter form below to enter. Good luck!